Below is a simplified list of age-appropriate gross motor skills. The checklist may be used by parents to identify whether their child is relatively slow in acquiring certain gross motor skills. Although the milestones below are listed according to the average month of life they typically occur in, please note that a range of individual variability does exist. Furthermore, each motor skill is assessed via specific criteria, as well as by quality of movement. Thus, in order to accurately determine whether your child may have a developmental delay, a complete and comprehensive gross motor evaluation must be done by a pediatric physical therapist who is specifically skilled in performing formal standardized motor testing for infants. Our son started therapy with Sophie as a newborn. We were so nervous about treating his torticollis and doing the right thing for our son! Sophie was amazing- she was so gentle with him and if any exercise didn’t seem comfortable for him (or us) she helped us find another way to make sure he was getting the stretching and therapy he needed without discomfort. 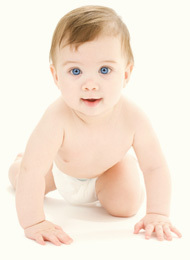 We looked forward to our sessions with Sophie and our son benefited tremendously. We had excellent results. 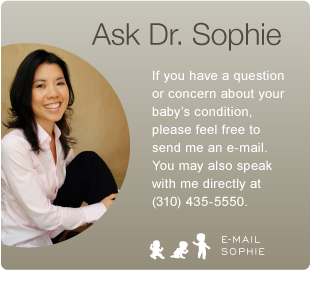 We do not hesitate to highly recommend Dr. Sophie and Early Start Pediatric PT!